Providing you the best range of ss 316l seamless pipes, non ferrous erw pipe, non ferrous seamless pipe, non ferrous seamless tube, steel ferrule and copper coils with effective & timely delivery. We are amongst the renowned impoter of industrial Non Ferrous-Metal Seamless/ERW tube that are available in varying specifications regarding size, dimension and material grade. Range : 1/4' Od.gauge:25.-10 Swg. Type : Round,square,rectangle,coil, "u"shape, Hydraulic & Horn Tubes. We are amongst the renowned impoter and exporters of industrial Non Ferrous-Metal Seamless/ERW Pipes that are available in varying specifications regarding size, dimension and material grade. 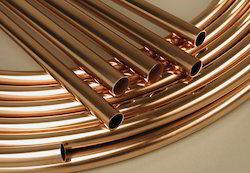 These pipes are avalaible in these row metrials grades: Copper, Brass, Aluminum, Copper Alloys,etc,in the form of Rounds, Plates, Sheets,Wires, Circles, flats & Tubes. TYPE ROUND,SQUARE,RECTANGLE,COIL, "U"SHAPE, HYDRAULIC & HORN TUBES. 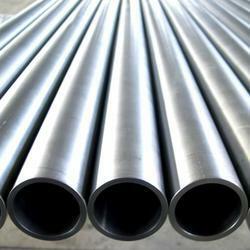 We are amongst the renowned importer and exporters of industrial Non Ferrous-Metal Seamless/ERW Tube that are available in varying specifications regarding size, dimension and material grade. Copper, Brass, Aluminum, Brass, Copper Alloys. Our company has created niche in the field of offering Steel Ferrule to the clients. Steel Ferrule is widely known by the esteemed customers for attributes like long working life and quality. This product is checked stringently on certain quality stages before final delivery. Offered range is designed and made by using high quality raw material and latest technology under the guidance of professionals from well known adroit professionals at manufacturing unit. This product can be avail with the various specifications for valuable clients. We have emerged as the leading trader, exporter, and supplier of a wide variety of Copper Coils. Offered copper coils are manufactured along with the market standards with the usage of finest copper and updated technology. These are thoroughly inspected on factors of quality by our competent quality experts to make assure its smooth finish & durability. 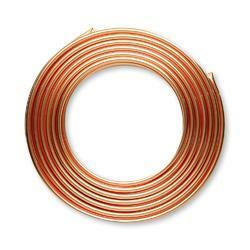 Our admirable patrons can purchase these copper coils from us at pocket-friendly rates.